Critical power and cooling is a key aspect of the global data center industry. Thanks to the high volume of computing hardware required in data centers, power management becomes a crucial requirement for data centers. Ensuring sufficient cooling to enable steady performance is another requirement arising from the large-scale use of computing hardware and is likely to play an important role in the development of the global critical power and cooling market in the coming years. Efficient cooling has emerged as one of the most important needs in modern data centers, while eliminating fluctuations in the power supply is a long-term target of administrative agencies as well as the power industry, resulting in strong prospects for the global critical power and cooling market. The steady generation of digital data from an increasing number of avenues has driven the need for data centers across the world. This has subsequently driven the demand for critical power and cooling technologies, as power management and temperature regulation of the crucial hardware is a major concern for any data center operators. Power expenses take up a dominant share in the overall operational costs of data centers, while cooling is an essential need to ensure steady performance from computers. This is likely to remain the key driver for the global critical power and cooling market in the coming years. On the other hand, the lack of specialists in the field of critical power management is a key restraint hampering the growth prospects of the global critical power and cooling market. Due to the relative nascence of the critical power and cooling market, usage data illustrating the performance of power management systems has been slow in coming. Due to this, the critical power and cooling industry hasn’t been consolidated sufficiently to produce a feasible supply line of competent technicians. This is likely to be a short-term restraint on the global critical power and cooling market in the coming years, though the increasing interest of key players in the data center industry in critical power and cooling technologies is likely to alleviate this concern. Recent trends in the global critical power and cooling industry suggest the rise of green data centers is imminent. Scrutiny of the environmental impact of data centers has now led to an economic environment where innovative ways to construct data centers while minimizing their environmental impact has become possible. Nautilus Data Technologies, for instance, plans to construct data centers on floating barges in order to be able to utilize the water to cool equipment. This would cut cooling costs significantly. Innovations such as this are likely to occur at increasing frequency in the critical power and cooling market in the coming years. Environmental regulations are thus likely to play a key role in the development of the critical power and cooling market in the coming years. The strong presence of computing and technology giants in the U.S. means North America is likely to retain the leadership of the critical power and cooling market in the coming years. Asia Pacific is also projected to play a key role in the development of the critical power and cooling market in the coming years due to the rising prominence of countries such as India in the global data center industry. The Asia Pacific critical power and cooling market is expected to exhibit the highest CAGR of all regional segments of the global market in the 2017-2025 forecast period. The report provides readers with a comprehensive overview of the competitive landscape of the global critical power and cooling market by profiling leading players operating in it. 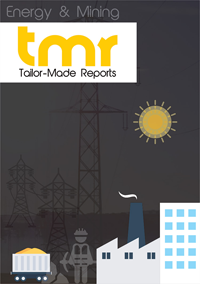 Some of the key critical power and cooling market players are General Electric Company, ABB, Critical Power, Eaton Corporation, Stulz GmbH, Cyber Power Systems, SPX Corporation, Siemens AG, Daikin Industries Ltd., Delta Electronic Inc., and Schneider Electric.